This description uses material from the Wikipedia article on Denver Mint and is licensed under the Creative Commons Attribution-ShareAlike License (view authors). Was flying through Denver to Iceland so planned an extra day before and after to hit the Mint and some Museums. 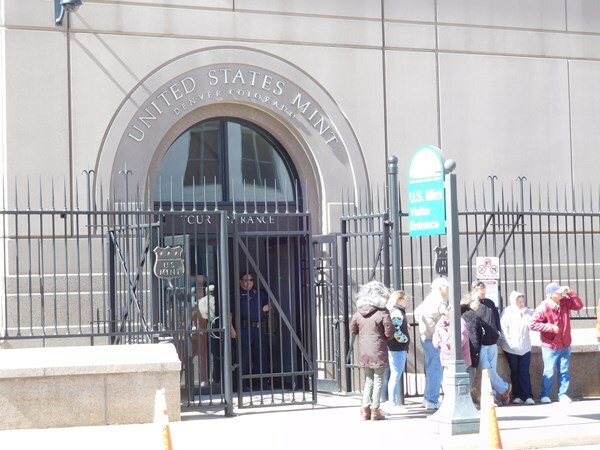 Unfortunately, no photos allowed inside the Mint--and there were way cool things to photograph. I toured on 03/06/2017. Note that they no longer let you reserve tickets, strictly first come, first served.